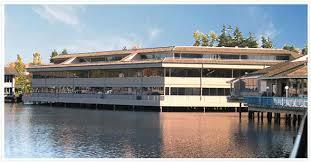 GMA Research is located on Lake Bellevue in a suburban community east of Seattle, Washington. Our region is home to a number of major corporations including Microsoft, Costco, Expedia, REI, T-Mobile, Amazon, Boeing, PACCAR, to name just a few. As one of the leading, premier market research firms for almost 50 years (founded in 1970), GMA is organized to meet and exceed client needs and expectations. Every GMA Associate, full time or part time is dedicated to one goal, superior quality and service. Our organization is focused on each project from a multidisciplinary approach. Research design, data collection, computer tabulation, analysis and reporting are all conducted and completed within the GMA organization structure and certified network to ensure quality, consistency and overall confidentiality. In addition to our core staff, GMA has a network of highly qualified, experienced consultant partners providing professional services in a multitude of categories. Direct links to these partners are provided on our site for ease of access.